With the exception of Keith Floyd, who I once had the pleasure of meeting, I cannot abide celebrity chefs, and their tendencies. That said, I may or may not have shown tendencies myself back in the day when I was cooking up a storm. It was not uncommon for me to banish everyone from the kitchen and then crank up the stereogram to 11 (and beyond). 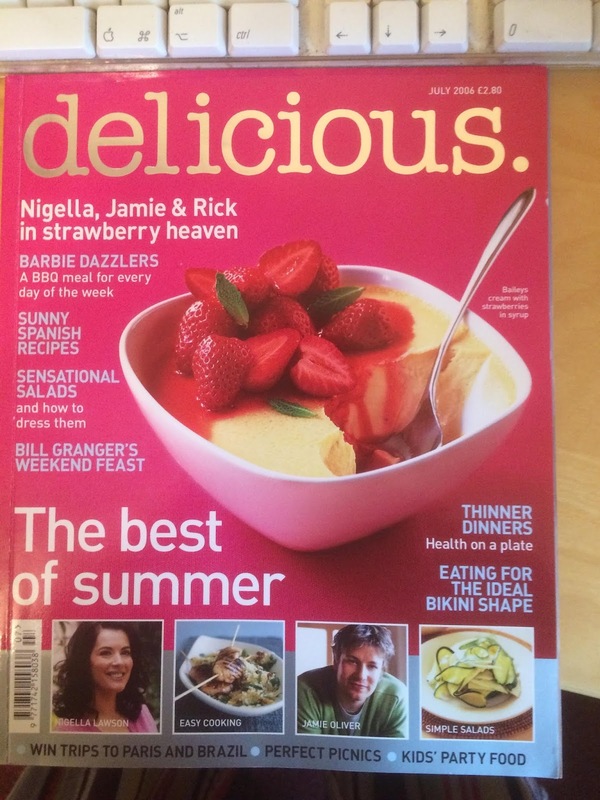 I must dig out the article I wrote a few years ago for Delicious magazine in which I said that food and music were joined at the hip; obvious, I know - but it was an easy 500 word piece. 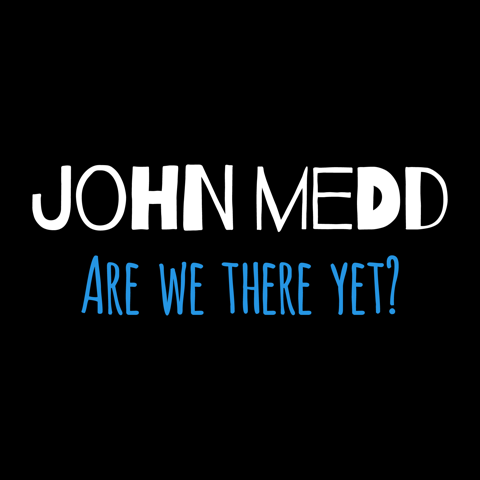 I've mellowed over the years - these days, as long as you come bearing a bottle anyone can come and watch me play. 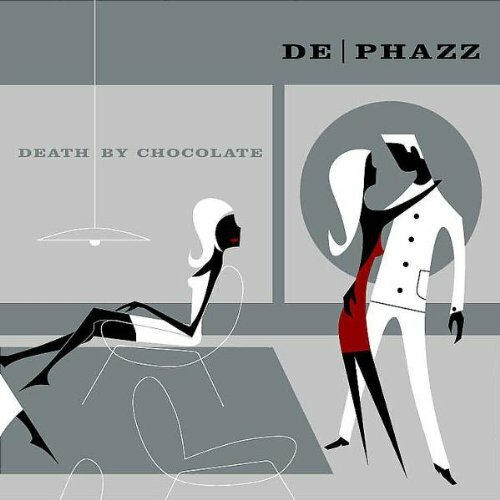 One of the albums that used to come out regularly on a Saturday night was Death by Chocolate by De Phazz. My friend Riggsby had put me on to them and he once told me that someone he used to work with in Germany went out with their bass player. That's good enough for me. 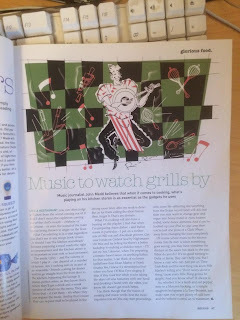 I have to admit that I've never particularly considered that food and music are joined at the hip. 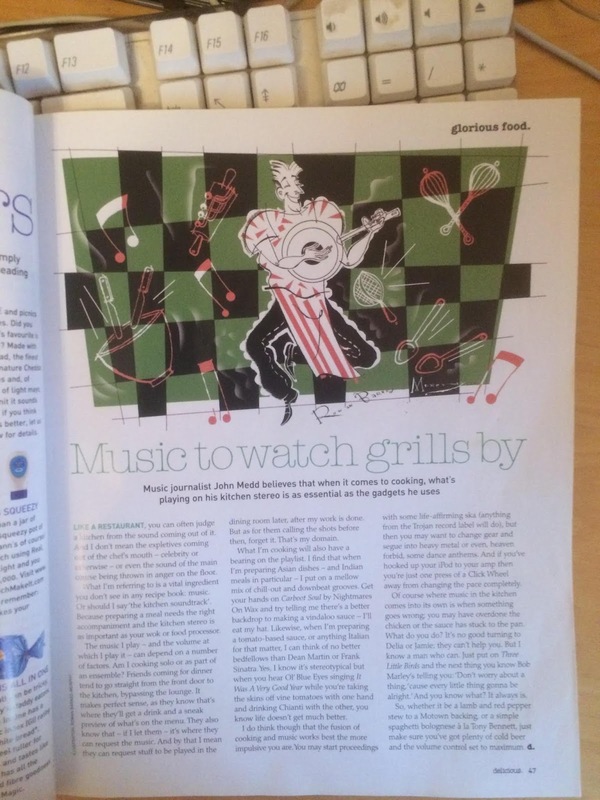 Admittedly I do like to have music playing when I'm in the kitchen knocking out some killer beans on toast, but then I like to have music playing pretty much 24/7 anyway. I hope you dig out and share that Delicious piece, I'd be very interested in giving it the once over. I'll dig it out at the weekend TS. 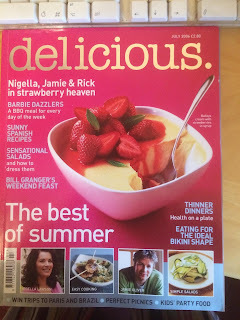 After the move last June a lot of my writing archive is still boxed up; I've found the original Word document, but it would be nice to show you a scan of the actual magazine. Found it! 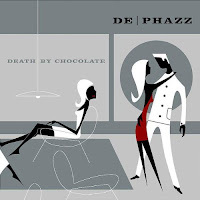 I've slipped it in under the De Phazz tune. A great piece beneath an inspired headline. Thanks for digging it out John. Sadly, cooking up a storm was never one of my strong points, a quick spag bol or chilli is about as good as it gets, though armed with the correct tools I can usually be relied upon to brew a wickedly complex coffee. "... Keith Floyd, who I once had the pleasure of meeting..."
Hangeth no more B Smith - It was in his pub in South Devon; which he later renamed 'Floyd's Inn (Sometimes)'. I reckon it was 20 years ago - he was a nice fella, very gracious and not at all pompous (which I know was an accusation levelled at him). Good times.